If you are planning on fishing this Saturday – please be aware that there will be a rerun of the old raft race from Broons Brig on the Muirkirk Road to Craig Bridge on the Sandford Road – starts approx 11.00 & finishes 12.00. “THE OLD RAFT RACE will be repeated this Saturday morning – there are a number of teams scheduled to take on the old, longer raft race course to kick off the Gala on Saturday 5th April – but we could do with one, maybe two more people to join us… anyone up for it? We’ll be raising money for Gala funds – collection boxes are now available in Craigs, Sorbie Hayes, Taylors and Scotmid Common Green – all support for the Gala very welcome). 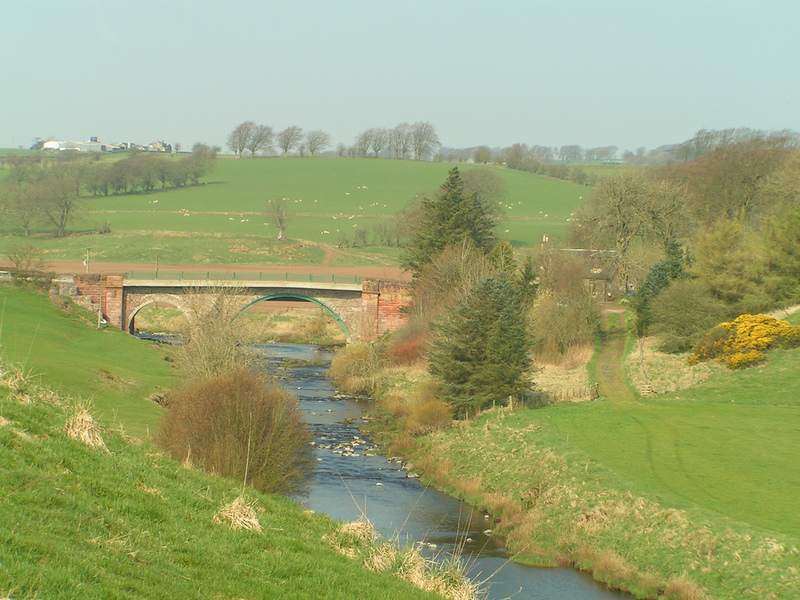 The course starts at Brown’s Bridge (on the Muirkirk Road – see pic), and goes down the river to Craig Bridge – it’ll take roughly an hour, and we’re starting at around 11am.